London firefighters were digging in Saturday evening (Sept. 15) to knock down the remnants of a stubborn fire that gutted a warehouse at the abandoned McCormick’s cookie factory and forced roughly 100 people to abandon the nearby area. The fire broke out in a warehouse located on the north part of the McCormick’s complex at the intersection of Dundas Street and Ashland Avenue at about 4:30 p.m. and blanketed neighbourhoods to the south and east of the factory with thick toxic smoke for more than three hours. 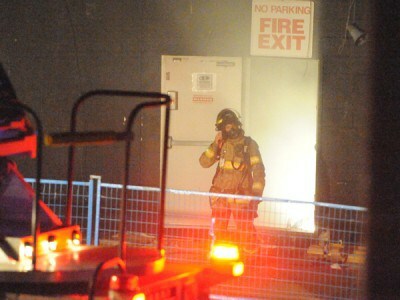 Deputy Chief Brian George of the London Fire Department said fire crews attacked the blaze with aerial water cannons but did not venture into the warehouse, which he described as full of cardboard, since they did not know what hazards they might find inside. The factory has been closed for at least five years and George said the floorboards in the warehouse had been removed leaving behind a dangerous “spider’s’ nest” of pipes and wiring. Police evacuated roughly 10 homes on Ashland Avenue north of Dundas Street and several adjoining side streets as well as a nearby church due to possible health hazards from the smoke. In all, said Sgt. Steve Simone of the London Police Service, 100 people were directed to leave the area and police also called residents living south of the factory and asked them to evacuate. Police and fire officials gave evacuees the all-clear to return home at about 8:15 p.m.
A pair of London Transit Commission buses had been dispatched to a waiting area at Dundas Street and Kellogg Lane, just west of the fire site, for any evacuees needing temporary shelter. As of 7:30 p.m., no one had come to the buses seeking assistance. Dundas Street was also closed between Highbury Avenue and Quebec Street for most of the evening and a number of residents who were out when the fire started were not allowed to return home. 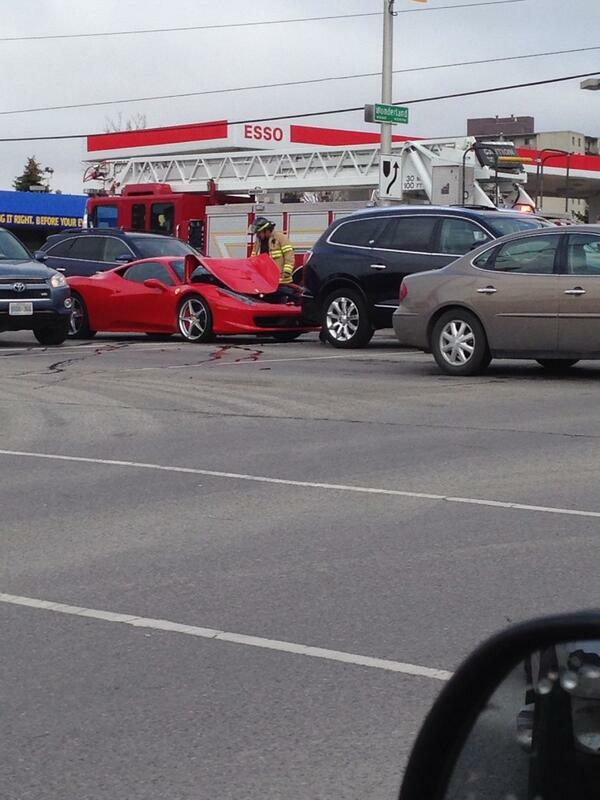 Eastbound traffic on Dundas Street was reopened just before 8:30 p.m. but westbound lanes remained blocked. Tom Woods, who lives on King Street south of the factory, said he received a call from police just before 7 p.m. asking him and his family to leave their home due to the smoke billowing into the neighbourhood. He said he sent his father away with some neighbours and went to other houses in the area to check on some seniors. At least one woman, Woods said, needed to seek medical attention from paramedics after experiencing breathing problems due to the smoke. Simone said, however, that he was not aware of anyone who suffered any health problems due to the smoke. Although he had to leave his home, Woods said evacuating was not a problem for him or his family and he decided to take the opportunity to go for a walk with friends. George said firewalls within the warehouse and the department’s “defencive” attack on the blaze kept the fire from spreading into the historical factory and office building which faces onto Dundas Street. By 7 p.m., the fire was fully contained, he added, and crews were cutting into a ventilation panel on the warehouse’s west side to spray water further into the structure. It would take crews well into the night, however, to put the fire completely out, George said. Although the cause of the blaze was not immediately known, he said it started in the northernmost part of the warehouse and spread into the walls and ceiling. George and Simone said there have been a number of break-ins and cases of vandalism at the abandoned factory and vagrants often use the warehouse where the fire started for shelter. Simone said a bystander reported seeing someone looking out of a window in the factory/office structure on the property while the fire was burning and police and firefighters conducted a foot search of the building at 7 p.m. to make sure no was inside. He confirmed later in the evening that searchers found the building to be empty. Ward 4 Coun. Stephen Orser, who was enjoying a day at the Western Fair when the fire broke out, came to check out the scene at about 6 p.m. He said after the city’s failed attempt to sell the property over the past 18 months, council asked various city departments to take over the property. When that offer was refused, Orser said, the city began environmental site assessments of the property with the intention of taking it over and then possibly putting it up for sale again or using the property for a new project such as a seniors centre. The fire, however, will further delay that process and cost the city hundreds of thousands of dollars if it wants to sell or upgrade the property down the road, he added. Orser blames city council for dragging its feet in its attempts to sell or improve the property. “This is just the end result of neglect,” he said. “I’m trying every possible maneuver to build this into a $50 million complex that would be positive for the area. Now I’m dealing with this. Simone said the fire marshal was en route to the site later Saturday evening and a full investigation of the fire was getting underway.